Joshua Peters was targeted by anonymous pranksters. camera (Koopatroopa787/YouTube) A gamer was livestreaming on Twitch when a prank caller had a SWAT team raid his home. 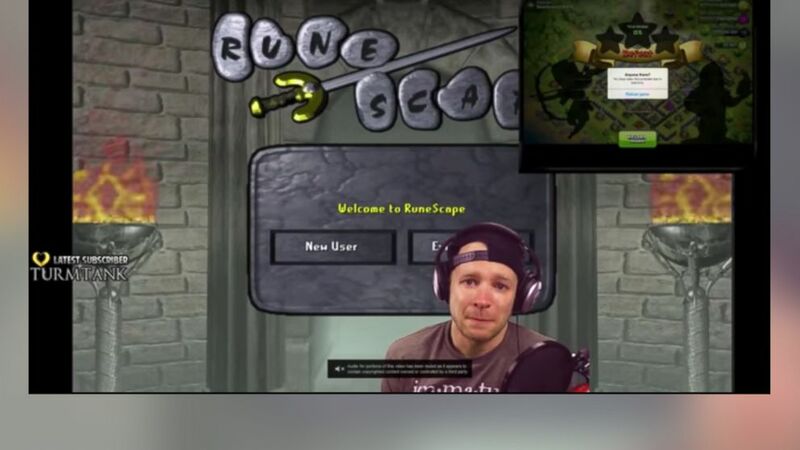 A popular gamer said he was shaken up after armed police, apparently prompted by a prank phone call, raided his home as he was live streaming to nearly 60,000 viewers on the video game website Twitch. Joshua Peters, a U.S. Air Force veteran who lives in St. Cloud, Minnesota, was playing browser games on Wednesday when he fell victim to an apparent "swatting" prank. Swatting is the practice of placing a phone call that prompts armed police to deploy to the home of an unsuspecting target -- something that can be incredibly dangerous for victims caught off guard. St. Cloud Chief of Police William Anderson confirmed the incident to ABC News and said it was currently under investigation. Known as Koopatroopa787 on Twitch, Peters played with his noise-cancelling headphones on as armed officers swarmed the residence where he was with his mother and younger brothers. When he heard his mother call to him that officers were in the home, a confused Peters exited from view of the camera. After it was evident he had been a victim of swatting, Peters returned to close out his stream as he held back tears talking about the dramatic situation. "I see you posting my address. I had police point a gun at my little brothers because of you. They could have been shot, they could have died because you chose to SWAT my stream," he said, addressing the anonymous attacker. "I don't give a s*** about what you have against me, or what I did to you. For that, I am at a loss for words. Your gripe is with me so let it be with me and do not involve my family in any way, shape or form with this. They don't deserve that." Peters told ABC News today he does not have "beef" with anyone and was not sure who would target him. "It was more or less a wake-up call that I have to be careful. It can happen to anybody," he said. "I came back on after and told everyone what was going on. I knew the person who did it was watching and I wanted to let them know you can't do this." The officers who stormed his home were "very professional about it" when they realized they had been sent to the house as part of a swatting prank. Peters said he is now working with authorities to determine who could have targeted him. Going live in 10 min because of all the support this amazing online community has shown in the past 24 hours. My family and I thank you.